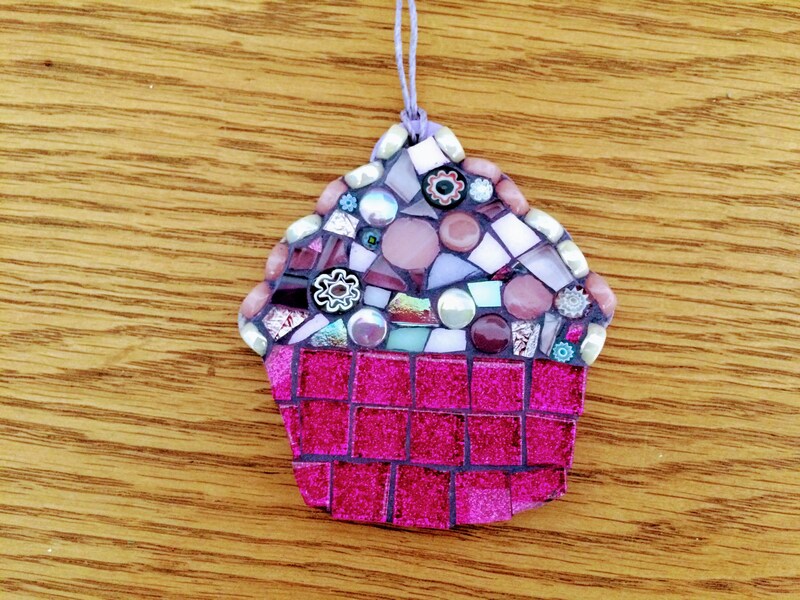 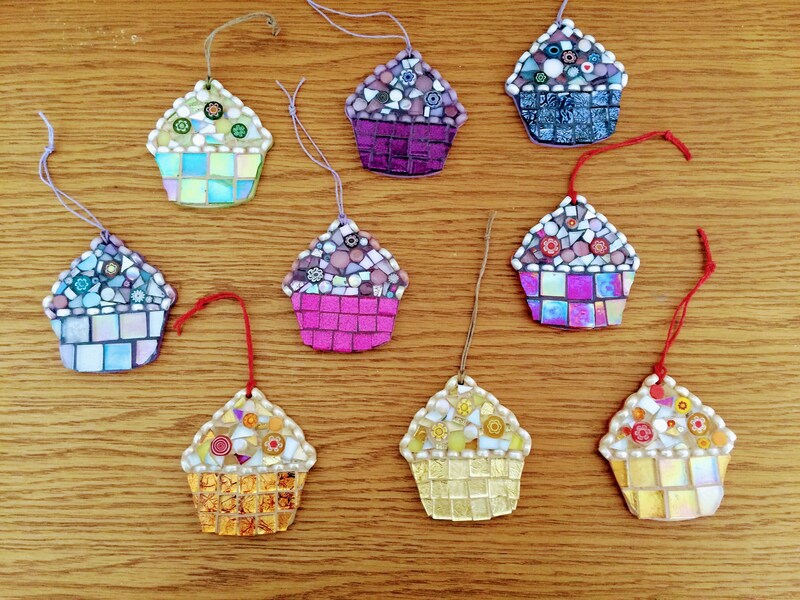 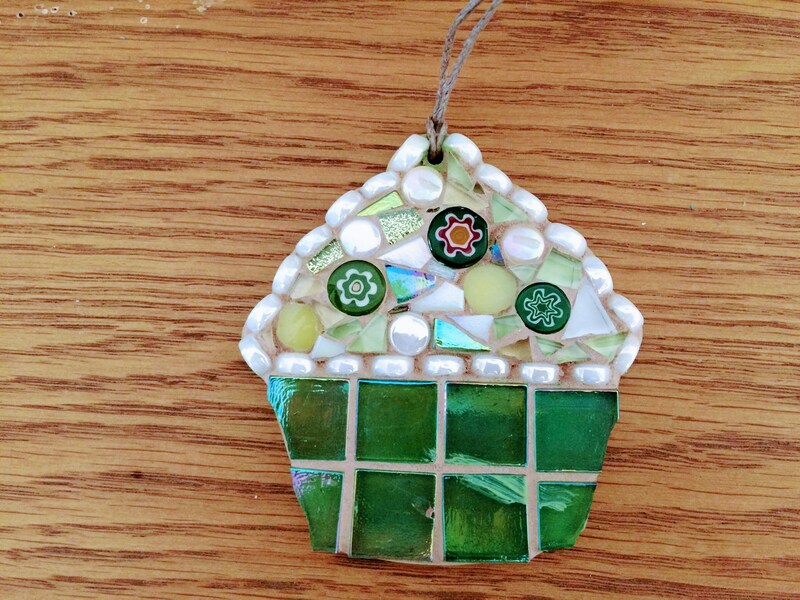 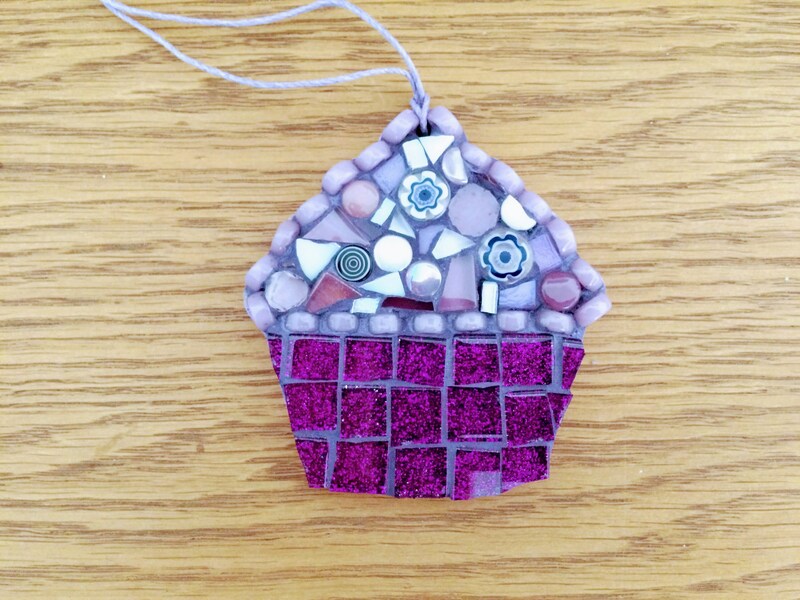 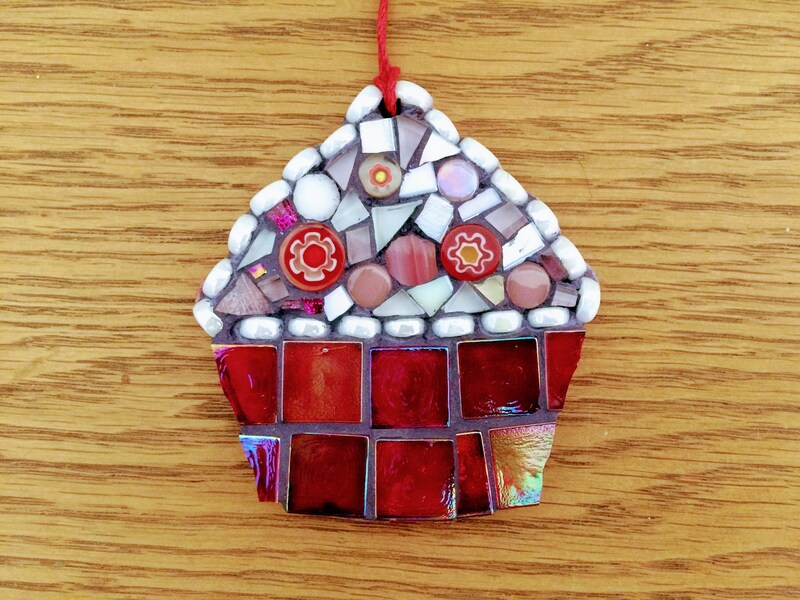 Pretty handmade hanging cupcake ornament with glass glitter or foil tiles for the cupcake case which catch the light in different ways which makes the piece really shimmer and shine. 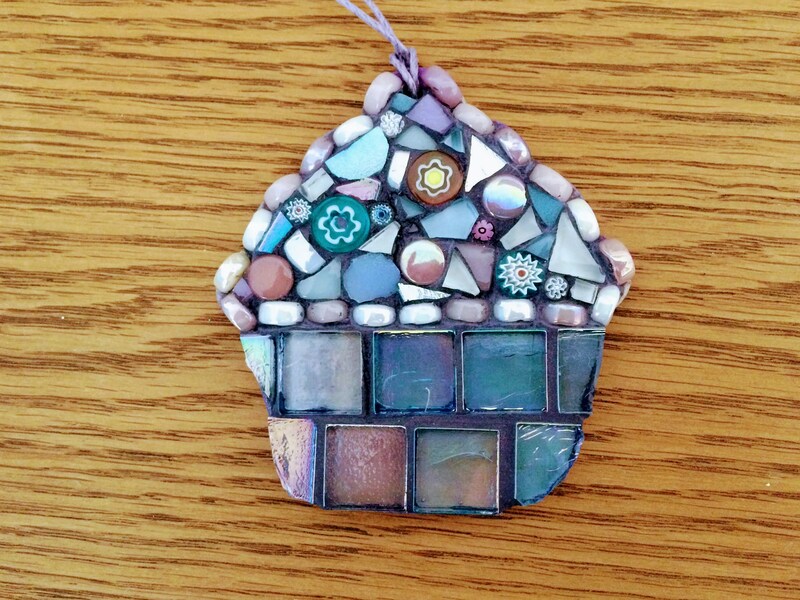 Millifiori and iridescent tiles form the 'icing'. 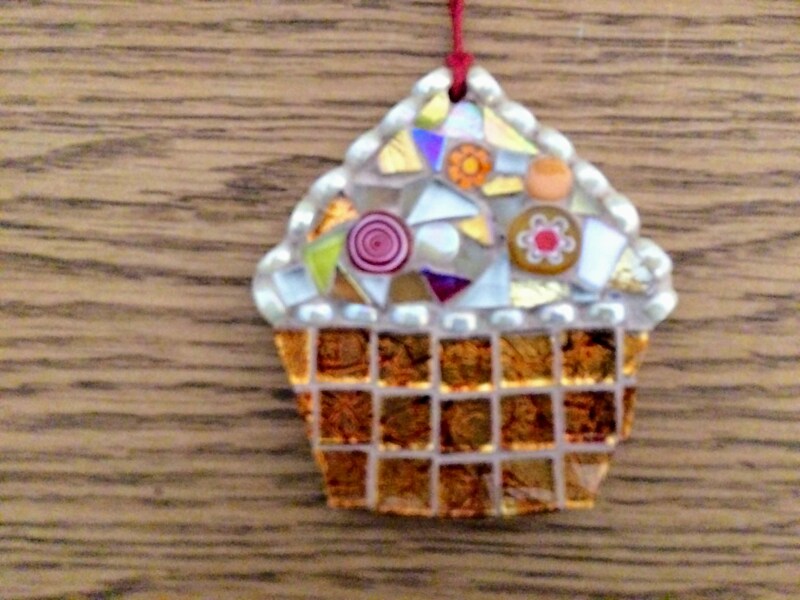 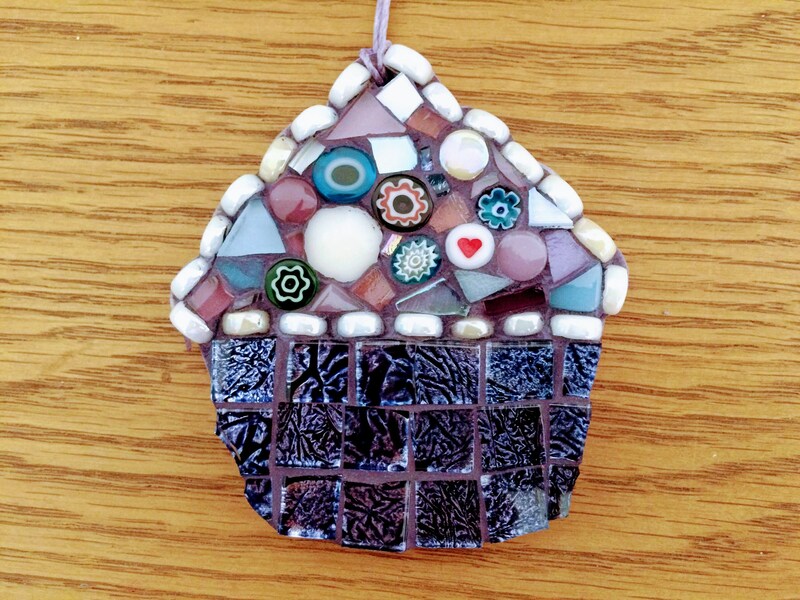 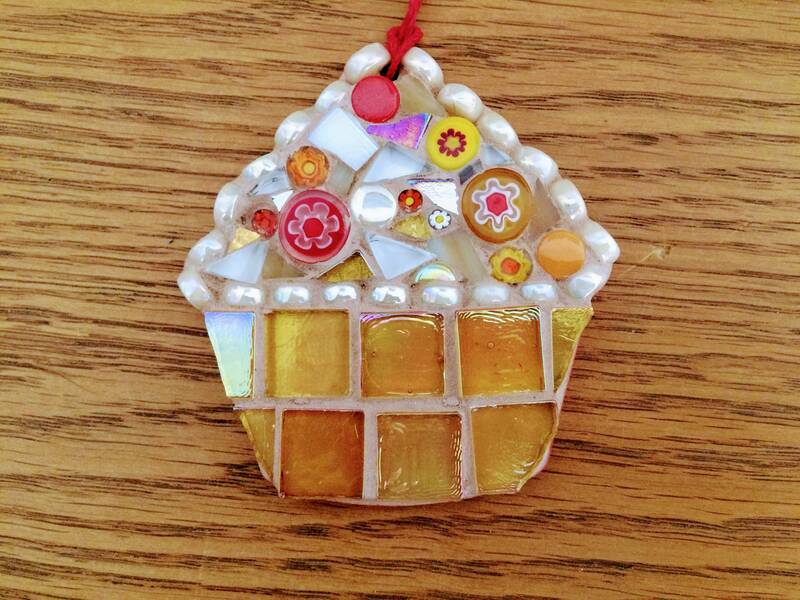 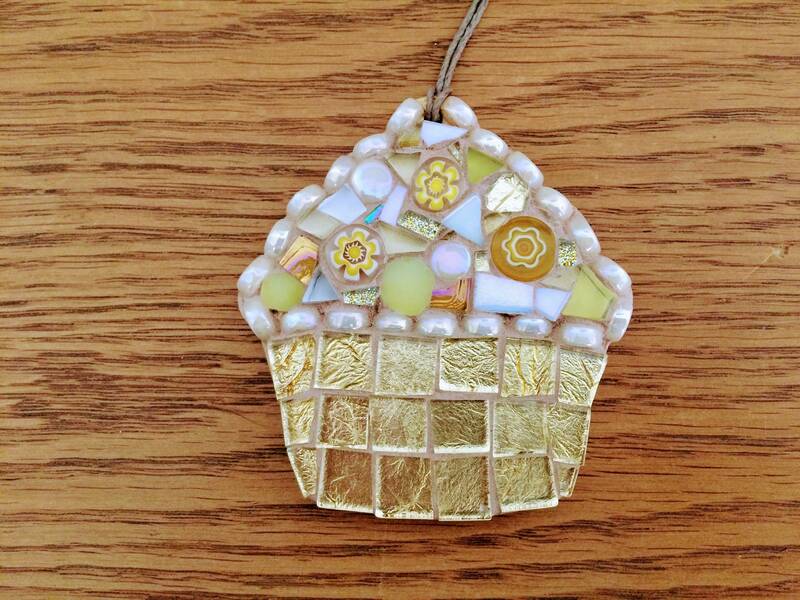 Made with hand cut glass tiles and a millifiori which are glued onto a birchwood cupcake template, then grouted.